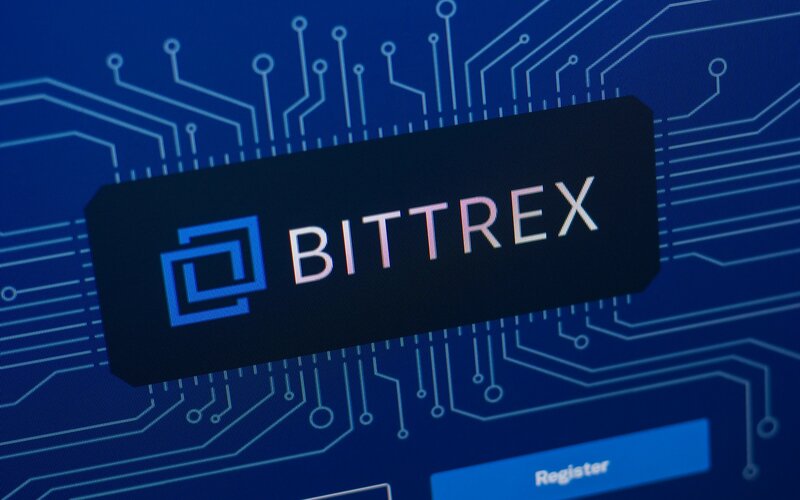 Yesterday, Bittrex announced that they are shutting down operations for residents of New York State. Trading will stop today at the close of business. Bittrex is shutting down NY operations because the New York Department of Financial Services (NYDFS) denied Bittrex of its Bitlicense. Nothing has us procrastinating more than taxes. Most would rather go to the dentist than do taxes. Others procrastinate for good reason — perhaps you are still working through your numbers and do not want to make a mistake. With a TokenTax full filing plan, we will file an extension for you for free. Should I create an LLC or corporation for my crypto activities? What are the pros and cons of creating a corporation for crypto activities? If you’re interacting with crypto assets in a variety of ways, like trading, mining, or earning it in any other way, then there could be benefits to creating a corporate structure. The US tax deadline is rapidly approaching, and many people are concerned that they will not be able to get their crypto taxes in order before then. But don’t fret, you can file for an extension quite easily. I didn’t report my crypto taxes last year. What do I do? We all know crypto began as a kind of cyberpunk libertarian movement, where many didn’t think you had to report taxes. Even if you knew you had to report, you weren’t sure how. If you were in this situation, what do you do? On January 15, 2019, New Zealand based crypto exchange Cryptopia announced that they were hacked. How could this affect your taxes? Today, we announce our acquisition of Crypto CPAs. Crypto CPAs, started by rockstar CPAs Andrew Perlin and Charlie Minard in 2017, was one of the first CPA firms to take on the cryptocurrency space. Andrew will be joining us as TokenTax’s Head of Taxation. He will lead our team of tax preparers who can do your full filing. With more companies conducting day-to-day business in cryptocurrencies, what are the tax implications of paying employees in cryptocurrency? If you were a crypto investor lucky enough to come out of 2018 with profits, you will incur a tax bill. Don’t fret, there are ways to reduce your tax bill from crypto profits. In the Ethereum community, DeFi, or Decentralized Finance, is all the rage. Many DeFi lending products have been built on top of the ERC-20 standard, and Uniswap is one such project that has recently captured the imagination of Ethereum enthusiasts. So let’s analyze these from a tax perspective, we are TokenTax after all. The Canada Revenue Authority is now auditing users of bitcoin and other crypto assets, as per Forbes. California lawmakers have introduced a bill that would allow cannabis-related business to pay taxes in stablecoins. This bill, Assembly Bill 953, would allow the state, city, and county offices in California to accept stablecoins starting January 1st, 2020. Finding a crypto tax accountant is not easy. There are thousands of CPAs and tax filing professionals in the United States, but very few understand this novel industry enough to guide you correctly. If you also consider that the IRS has not released clear guidelines around cryptocurrency tax rules, it can be quite difficult to find an accountant you can trust. Swedish trader Linus Dunker got a tax bill from Swedish authorities amounting to $1,000,000. This amounts to 300% of the actual profits he made from crypto. Why did this happen? Only two businesses have used Bitcoin to pay taxes in Ohio. There are countless innovative implementations of this emergent tech that are powered by Ethereum, a token and decentralized app platform that encourages creative blockchain projects. Here are three such projects I’ve discovered that fascinates me due to their potential to revolutionize the way I do business. TokenTax’s integration with TurboTax is now live! For early filers and folks who about to file, we are happy to announce that our import partnership with TurboTax is live. You can now take your TokenTax crypto tax results and seamlessly import them into TurboTax. You get a FBAR. And you get a FBAR. Everyone gets a FBAR! Choose TokenTax to file your tax return and we’ll handle the FBAR, too. Find out how TokenTax specializes in complex crypto tax situations. Transaction data from exchanges is vital in reporting your crypto taxes. If you lost this data, TokenTax can help. Introducing our new affiliate program. Refer new users to TokenTax and earn 10% commission! Coinbase Pro sent me a 1099-K. What do I do now? Crypto investors are concerned about the 1099-K they just received from Coinbase Pro. We don’t think there’s any need to worry. Here's why. For tax reporting, users need to download their transaction history now, before it's gone forever. More than just online merchandise: Overstock.com continues to pioneer in cryptocurrency. Wash sale trading in crypto: is it worth the risk? Cryptocurrency has been defined as property or assets by government bodies, thus exempting it from wash sale rules — but what if policy changes? Her Majesty’s Revenue & Customs just released a new policy paper outlining its most recent views on cryptoasset taxation for individuals. The department has clarified a number of policies, particularly in regards to capital gains and income tax. TokenTax has released the Crypto Loss Harvesting Dashboard, a new tool for crypto investors to harvest their crypto losses before the 2018 tax year ends. Tax loss harvesting with our software allows crypto traders to identify what positions to liquidate in December 2018. KPMG, the Big 4 Accounting Firm, released a 42-page report breaking down the cryptoasset space. This report, created in collaboration with Coinbase, Fundstrat Global Advisors, and Morgan Creek Digital, provides an overview of the crypto market and identifies the key challenges of crypto adoption in the global financial services ecosystem. Ohio Taxpayers can now pay taxes in crypto. Here’s how it works. If you are a resident of Cleveland, Dayton, Cincinnati or any other part of the Buckeye State, you can now pay your taxes in crypto. On Monday, November 26th, Ohio became the first United States state to accept bitcoin for taxes. Can I really be audited for crypto taxes? On October 1, 2018, the IRS swore in a new commissioner, Charles Rettig. We explore how this can lead to an increased risk of a crypto tax audit.